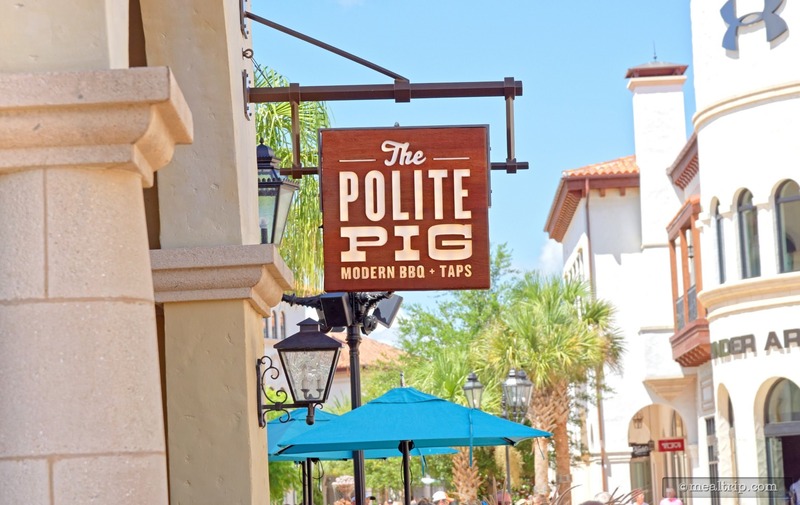 The The Polite Pig listing is a Counter Service (quick service) dining location at Disney Springs featuring American - Barbecue cuisine. There are 3 photos in the Mealtrip photo gallery for this location and dining period. The The Polite Pig listing currently has a score of 59 out of 100. 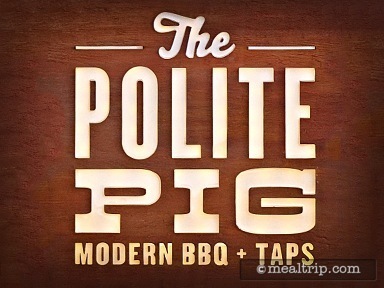 Click here to read all of the reviews for this location, or log in to Mealtrip.com to add your own review for The Polite Pig. The exterior sign just outside The Polite Pig. The Southern Pig is one of the sandwiches on The Polite Pig menu. 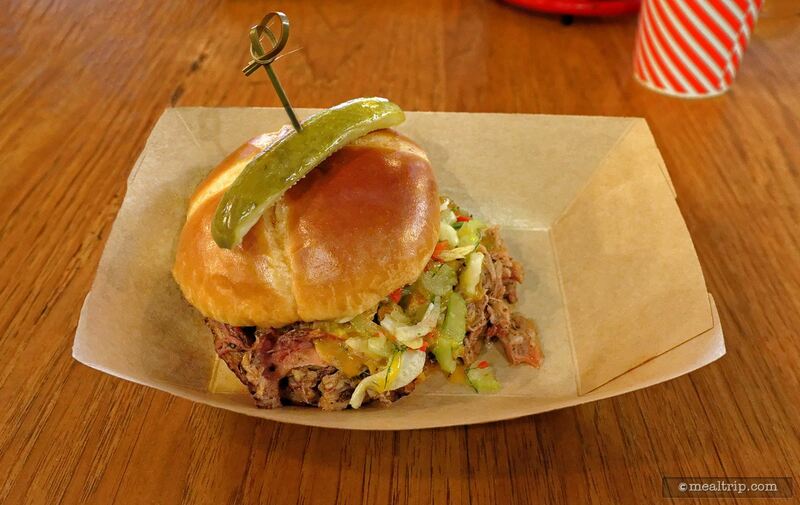 It features Pulled Pork, Fennel-apple Slaw, tangy Mustard BBQ and Duke's Mayo served with a Pickle Spear. The sandwiches do not come with "sides", those are extra. 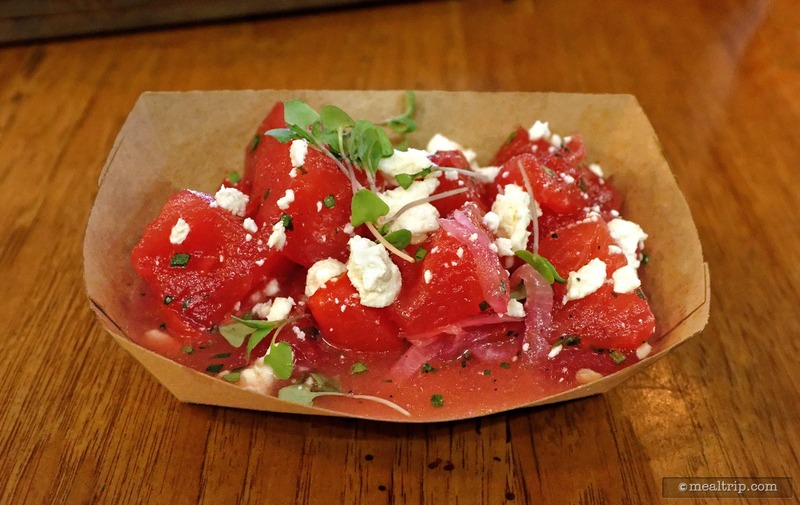 This Tomato and Watermelon Salad with Feta, Basil and Pickled Onion is one of the "Market Sides" at the Polite Pig at Disney Springs.